I have never been fired from a job. I came close once but ultimately avoided it. No one likes being told by their boss or employer that they aren't good enough to do the job they do and need to leave. Now. Right this minute. Steve Bannon is apparently no exception to that rule. The right wing publisher, former investment banker, former Navy officer and previous adviser to President Trump was let go by Trump back in August of 2017. At the time Bannon denied that he'd been fired but said that he hadn't planned on staying with Trump for much more than a year. He said that he could be more effective outside of the Administration. Some sources said that it was Chief of Staff John Kelly who asked Bannon to resign. 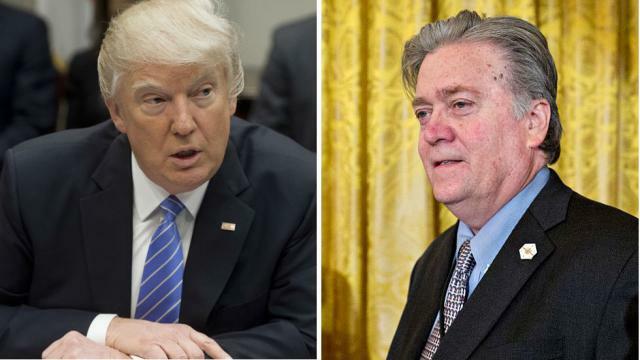 Other sources said that Bannon and Trump still talked regularly and that any claims of disagreement or dislike between the two men were wildly overblown. Well. It appears that like most other people who got a tap on the shoulder from a supervisor and were ignominiously walked out of the door by security, Bannon is nursing some grudges against his previous employer. 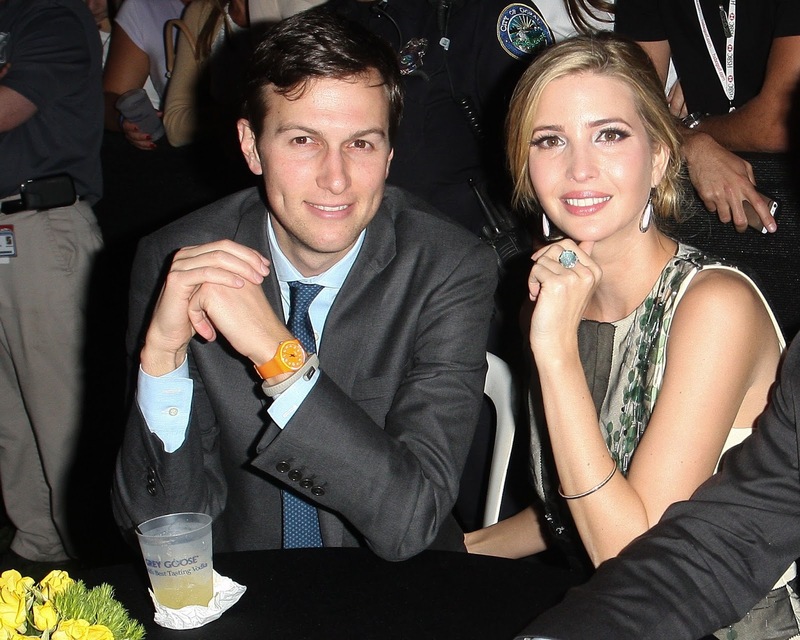 In an upcoming new book by Michael Wolff, Fire and Fury: Inside the Trump White House, Bannon launches several personal and political attacks on Trump, his son-in-law Jared Kushner, his daughter Ivanka, and his son Donald Trump Jr. In his latest book, Wolff quotes former White House chief strategist Steve Bannon calling Trump's daughter Ivanka Trump "dumb as a brick" and denouncing his son Donald Trump Jr. and son-in-law Jared Kushner as "treasonous" and "unpatriotic." The quotes sent the White House scrambling and drew condemnation from Trump, his family and White House officials. Press secretary Sarah Huckabee Sanders called the book "trashy tabloid fiction." His gossipy media world columns have earned industry kudos. Wolff twice won the National Magazine Award for commentary, in 2002 and 2004. Yet his reputation in journalism circles is not bulletproof. Critics have blasted the writer in the past for filling his column inches with insight and imaginative recreation rather than actual reporting. “Historically, one of the problems with Wolff’s omniscience is that while he may know all, he gets some of it wrong,” David Carr wrote in a 2008 New York Times review of Wolff’s 2008 book on Rupert Murdoch. Obviously Bannon is not the only source for the book. And it's likely that some of Bannon's statements to Wolff were made before Bannon was fired. Wolff was inexplicably given access to the White House and several Administration members, something I imagine some people are regretting right about now. Wolff is a pumped up gossip columnist with his own history of tawdriness, credibility issues and personal untidiness. Perhaps that is why Trump and team thought he would be a good choice to cover the White House. Dunno. It's not really all that important that two people with huge egos like Bannon and Trump couldn't get along. And it's not all that surprising that Bannon chafed at Trump's nepotism. How many people really want to have to run things by their supervisor's children or in-laws? And I can definitely think of a few previous bosses with whom I would love to settle accounts. All of that is par for the course. I won't be purchasing the book. I was amused to see that in response to Trump's threats to cease and desist publication the publisher moved up the release date to Friday. I was also amused to see that Bannon was trying to soft pedal his remarks, although he hadn't yet disavowed them. The only things which I think are important here are what one of my blog partners and one of my cousins pointed out elsewhere. Per Bannon, Trump and his family didn't think that he was going to win the election. He didn't want to win the election. All he wanted to do is leverage the experience for financial gain. The candidate and his top lieutenants believed they could get all the benefits of almost becoming president without having to change their behavior or their worldview one whit. Almost everybody on the Trump team, in fact, came with the kind of messy conflicts bound to bite a president once he was in office. Michael Flynn, the retired general who served as Trump’s opening act at campaign rallies, had been told by his friends that it had not been a good idea to take $45,000 from the Russians for a speech. “Well, it would only be a problem if we won,” ­Flynn assured them. Once he lost, Trump would be both insanely famous and a martyr to Crooked Hillary. His daughter Ivanka and son-in-law Jared would be international celebrities. Steve Bannon would become the de facto head of the tea-party movement. Kellyanne Conway would be a cable-news star. Melania Trump, who had been assured by her husband that he wouldn’t become president, could return to inconspicuously lunching. Losing would work out for everybody. Losing was winning. Shortly after 8 p.m. on Election Night, when the unexpected trend — Trump might actually win — seemed confirmed, Don Jr. told a friend that his father, or DJT, as he calls him, looked as if he had seen a ghost. Melania was in tears — and not of joy. There was, in the space of little more than an hour, in Steve Bannon’s not unamused observation, a befuddled Trump morphing into a disbelieving Trump and then into a horrified Trump. There is so much turnover among Trump's aides and associates because not only was Trump unprepared to be President, but also he's simply not very good at hiring people. He hires based on how people look and whether or not he believes they will swallow and regurgitate his daily line of bs. That's it. He demands loyalty but rarely offers it in return. Nothing is ever his fault. I suppose every President has some of that attitude but blaming other people for your mistakes is a trait I despise in people, especially bosses. Trump apparently tolerates and even encourages the backbiting and turf wars among his staff. The American people have elected a know-nothing carny barker whose main interest is in doing as little work as possible, filling up on fast food, and enriching himself and his family. It should be possible for Trump's opposition to start making a stronger claim to some marginal Trump voters, that contrary to what Trump told them, Trump's interest is not in their well being.